This the second in a series of articles that examine the Founders’ opinions on how the Article V Convention process should have clear focus. 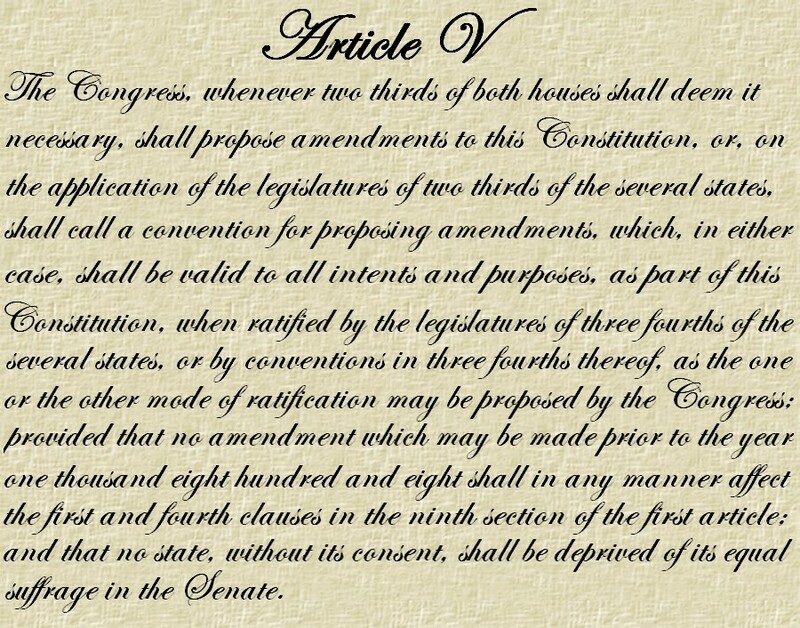 The US Constitution’s Article V provides two methods for proposing constitutional amendments. The Compact for America is an initiative to employ the method that has not been used: a convention of the states called after state applications to Congress. This series presents evidence to meet the objection to such a convention that it may not be controlled and become a “runaway” convention. In Compact for America Solution to Article V Convention Issues According to the Founders, Part I. debates from the Constitutional Convention, the writings of Trench Coxe, James Madison in Federalist No. 43 and George Nicholas were presented. What follows in this Part II are the thoughts of Alexander Hamilton in Federalist No. 85, James Madison explaining the amendment process with proposals by the states as an alternative to nullification, and George Washington’s thoughts on the subject. It is clear the Founders expected Article V conventions would be focused and not “runaway”. A summary of this issue is found in Part III. Hamilton not only focused Federalist No. 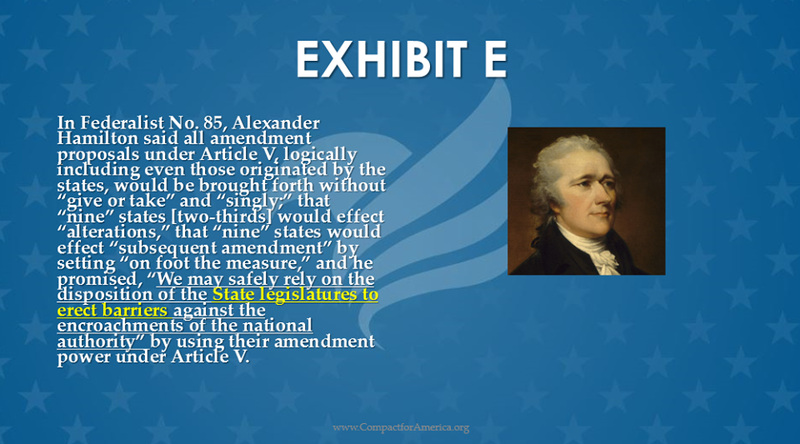 85 on the argument that the Article V amendment process was superior to convening a second wide-open convention, his statements all anticipate the amendment-specifying power of an Article V application, which alone is entirely controlled by two-thirds of the states through their legislatures; as well as a narrow and preset agenda for an Article V convention. This is perhaps the clearest statement by the Founder called by some the father of the Constitution that an Article V application properly organizes an Article V convention to propose a specific amendment. In 1799, Madison defended the legislative declarations of Virginia and Kentucky that the Alien and Sedition Acts were void and unconstitutional. He said they were statements of opinion to which states are entitled. But he didn’t stop there. 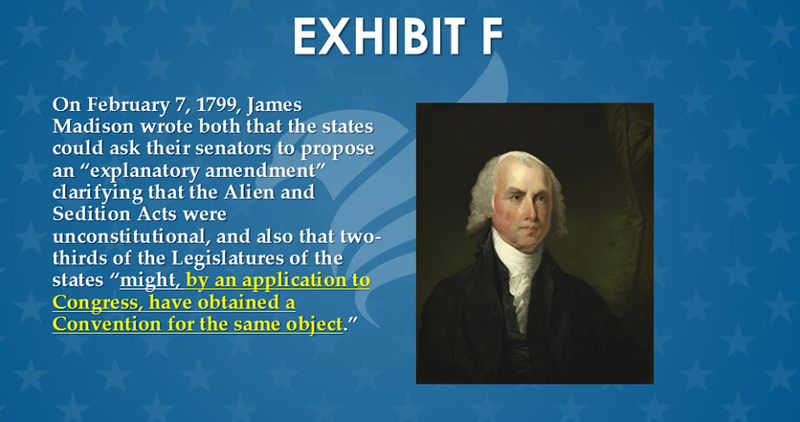 He emphasized how the states should consider following up their declaration with an Article V application to obtain an Article V convention for the object of proposing an “explanatory amendment” that the Alien and Sedition Acts were unconstitutional. The modern notion that an Article V convention sets its own agenda and drafts any number of amendments independently of the will of the States as expressed in their Article V application is obviously, manifestly and completely alien to Madison’s expressed public understanding of the process. 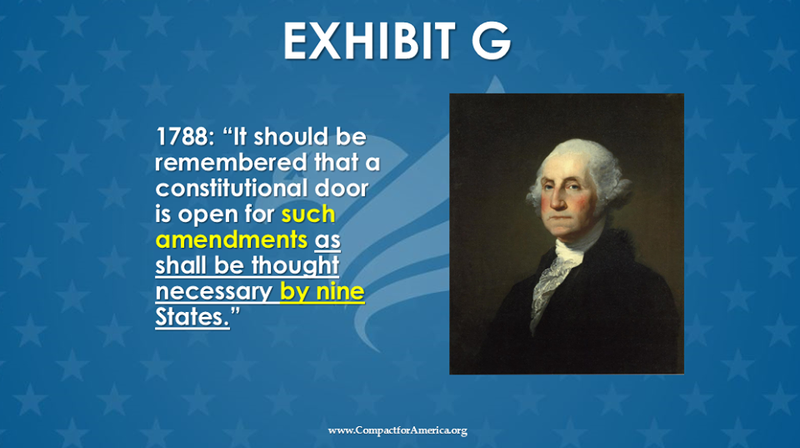 George Washington’s statement to his friend John Armstrong clearly indicates that two-thirds of the states (nine at the time) would specify the desired amendments in their Article V application and target the convention agenda accordingly. That’s because the only element of the process controlled by two-thirds of the states is the application! Like and share if you agree and want to spread the word! And consider a tax deductible donation to our “Balance the Budget Now!” campaign. 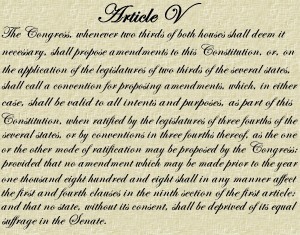 The goal of the Compact for America (“CFA”) initiative is for the states to propose and ratify the powerful balanced budget amendment that is contained in the Compact for a Balanced Budget into the United States Constitution in as little as one session year, with a target of July 4, 2017, and a “do or die” date of April 12, 2021 (when the Compact for a Balanced Budget already joined by the States of Georgia and Alaska sunsets). Over two years in the making, the Compact for a Balanced Budget is now a reality. With the signing into law of the Compact legislation by the governors of Georgia and Alaska in April of 2014, an officially recognized organization of states is now ready to attack the problems of an out of control Congress and a level of national debt that is crippling our future generations. When states enter into a formal contract to legally obligate themselves among each other in an organized effort to achieve a common goal, such a contract is called a “compact”. Currently, there are over 200 compacts in existence, and each state is typically a member of 20 or more compacts.